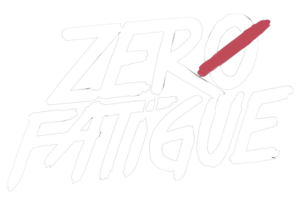 This Official Zero Fatigue Web Store is managed by Second City Prints! If you have any questions about merch or your order, please contact Orders@secondcityprints.com! A. All orders will be shipped within 1 business day of you placing your online order. Packages will then take 1-7 days depending on where you live and what you order. Check your e-mail for a shipping confirmation with a tracking number. Q. Is it possible to have an order expedited? A. Yes. Upon request, we can send your package with overnight shipping and guaranteed arrival times. Please contact us before or immediately after you place your order indicating when the order must be delivered and we will figure out the additional shipping costs. A. All of our clothing items have size charts. We highly recommend checking these before placing your orders. We suggest taking a ruler or tape measure to your favorite clothing items and comparing them to the specifications in our size charts to compare. Q. Will your items shrink? A. All t-shirts are made with 100% pre-shrunk cotton. If washed according to tag instructions, they should not noticeably shrink. All sweatshirts are contain polyester and will not shrink if washed appropriately. Q. How much do you charge for shipping? A. Your shipping costs will be displayed at checkout. It depends on where you live and what items you order. We charge the lowest rates possible and do not profit from this cost! Q. Do you charge sales taxes? A. We charge sales taxes on all orders shipped to an Illinois address to comply with our state sales tax laws. Items are taxed at 8.0%. Q. Do you ship international orders? A. Yes! We have sold our products to customers in over 20 countries. Shipping and handling will be more expensive, but if you are able to afford it, we will ship it! Orders will take longer to arrive so please be patient. Also, some countries will charge the receiver a customs fee for out of country purchases before delivering a package. We will not be liable for these extra customs fees. Please contact your local post office or customs office with your questions. Q. What shipping carriers do you use? A. Most orders are shipped using the United States Post Office (USPS). Smaller packages are shipped using 1st Class Mail and larger packages go Priority Mail. We use these methods to save on cost and pass the savings on to you with fair shipping rates. Occasionally, packages over a certain weight limit will be shipped with UPS Ground. Your shipping confirmation email will give you such details with a tracking number. Q. Is my package lost? It has not arrived after 2 weeks. A. Probably not. Please contact us though if your tracking number is not giving you answers or if you have not received a shipping confirmation yet. Q. How do I exchange an item that doesn't fit? A. If the purchase was made within 60 days, send it back to Zero Fatigue web store, 1510 Hubbard Ave, Batavia, IL 60510. Include a note with what size(s) you want instead and check, cash, or money order for return shipping. For one t-shirt, include $4.00. For one hoodie or multiple items, include $7.00. Make sure to include your name and contact information. If it has been longer than 60 days since the item was purchased, we unfortunately cannot exchange or refund you for it. Contact us if you have any questions. A. Yes, any unwashed unaltered items can be returned. Unless it is being returned due to manufacturer or printing defect, we will not refund your original shipping costs. We are not responsible for return shipping costs incurred. Return items to Zero Fatigue web store, 1510 Hubbard Ave, Batavia, IL 60510 and include a note requesting a refund for the item(s). © 2018 Zero Fatigue. Powered by Second City Prints.